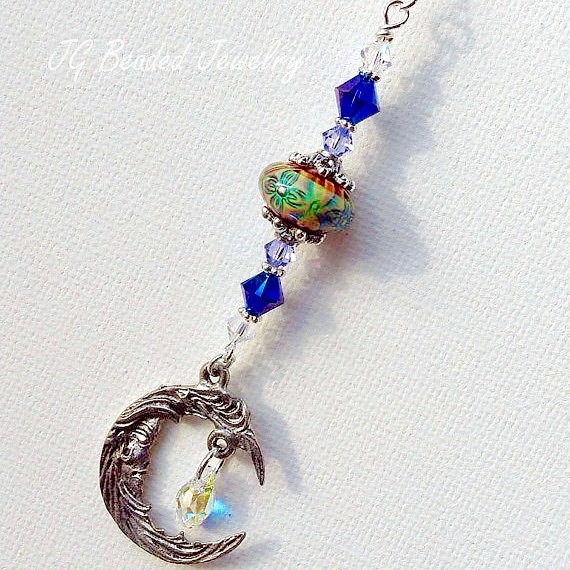 This Goddess moon decoration can be hung on the rearview mirror or in a window at home, the office or anywhere you like! 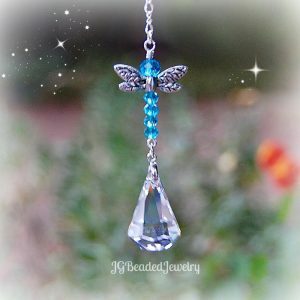 It is uniquely handcrafted with a pewter Goddess Moon charm, a flower designed color-changing mood bead that is surrounded by fancy silver metal bead caps, precision cut and flawless Austrian Swarovski crystals in iridescent, Glacier Blue and lavender. 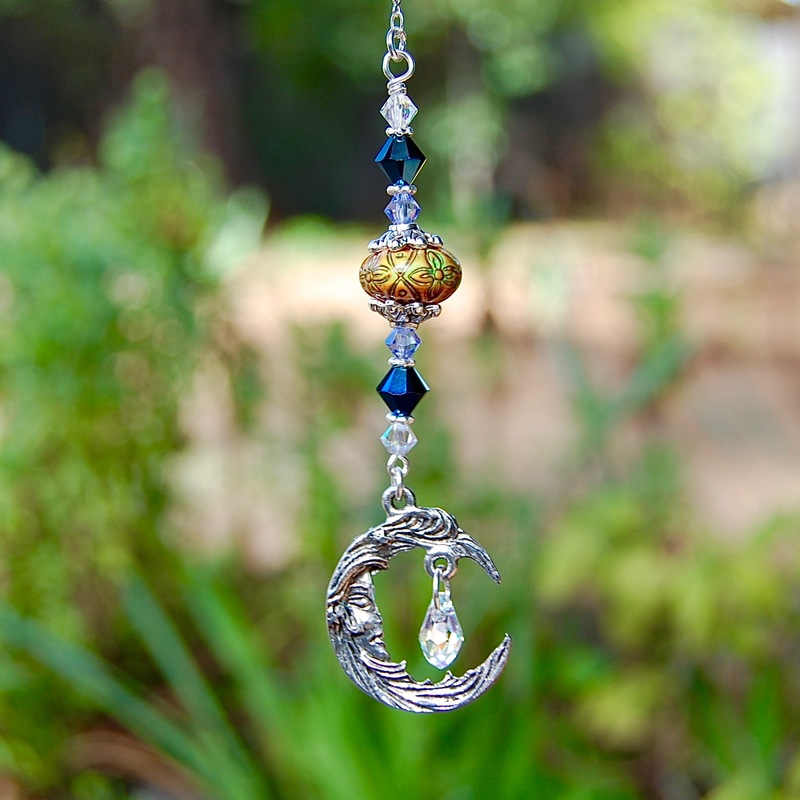 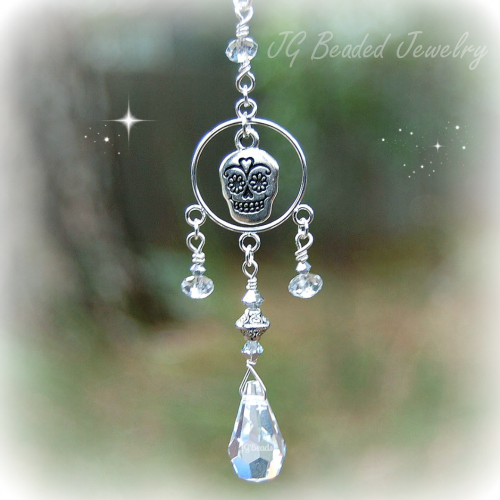 This Goddess moon decoration is made with only quality beads, crystals and components. 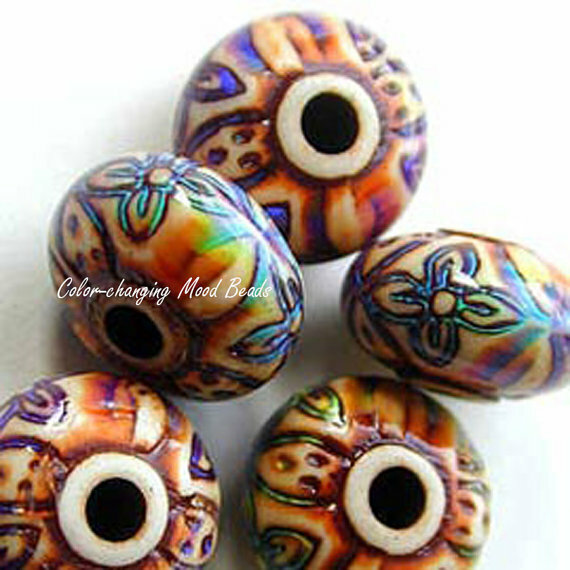 The flower mood bead will change colors with the temperature. 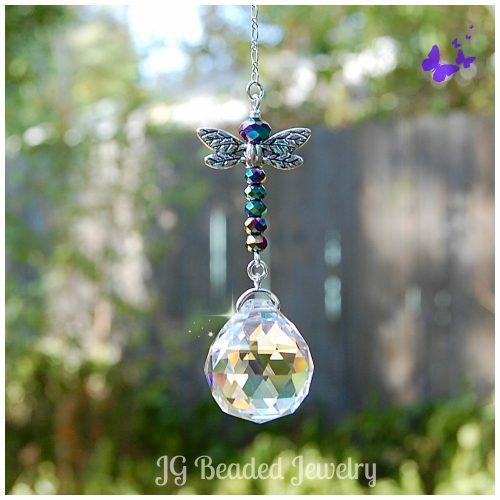 Inside the Goddess moon decoration hangs beautiful, high-end aurora borealis Swarovski teardrop crystal.